Kelman, I. 2008. "Relocalising Disaster Risk Reduction for Urban Resilience". Urban Design and Planning, vol. 161, no. DP4, pp. 197-204, abstract (13 kb in PDF). The journal did not make three changes requested at the proof stage, so the journal's published version has errors. The full text with three corrections is available here (95 kb in PDF). Kelman, I., M. Brownlee, and L.M. Hanthorn. 2006. "Relocalizing Water". 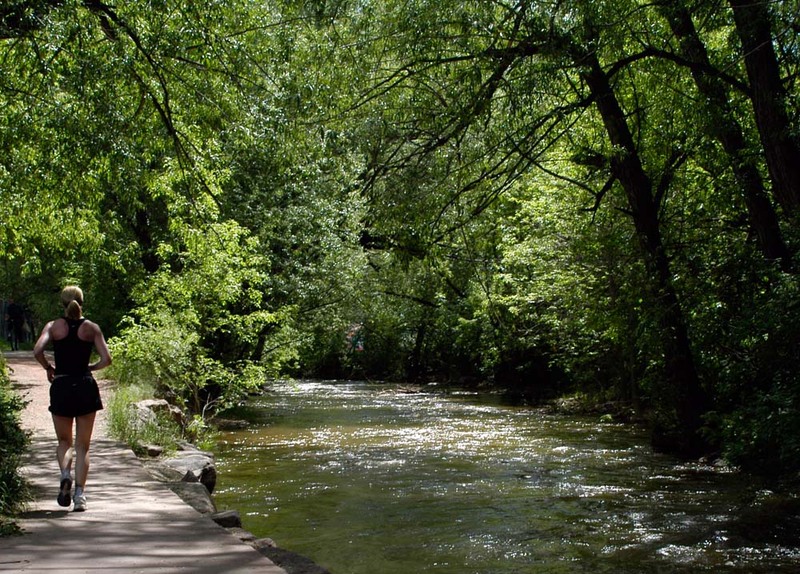 Boulder Creek Watershed Initiative Newsletter, vol. 6, issue 2 (September), p. 7, full text (241 kb in PDF). Kelman, I. and E. Karnes. 2007. "Relocalising Disaster Risk Reduction in Boulder, Colorado". Australian Journal of Emergency Management, vol. 22, no. 1, pp. 18-25, full text (149 kb in PDF). Kelman, I., E. Karnes, M. Brownlee, and L.M. Hanthorn. 2006. "Relocalising Disaster Risk Reduction". Disaster and Social Crisis Research Network Electronic Newsletter, no. 26 (April-June), p. 11, full text (369 kb in PDF). Kelman, I., E. Karnes, M. Brownlee, and L.M. Hanthorn. 2006. "Relocalisation as a Disaster Risk Management Education Tool". RiskPost (New Zealand Society for Risk Management), issue 6, no. 2, October 2006, pp. 4-5, full text (13 kb in PDF). The Flatirons of Boulder Valley mark the start of the Rocky Mountains. Relocalization originated in concerns about "peak oil" and the ensuing crises from limited fossil fuel supplies. Peak oil refers to the time when the extraction rate of oilâ€”now expanded to all fossil fuelsâ€”reaches its maximum, leading to an increasingly restricted supply of petrol, oil, and now all fossil fuels used for energy and electricity. Consequences envisioned include food supplies being reduced because trucks have limited petrol to transport supplies to supermarkets; blackouts during hot and cold temperature extremes because electricity generating plants depending on fossil fuels must shut down; and emergency services being unable to respond promptly due to petrol restrictions. Relocalization aims to make services such as food, energy, and manufacturing more locally-based so that they will be minimally affected by fossil fuel restrictions. Relocalization, though, goes beyond fossil fuel restrictions, as peak oil is just one possible concern which could affect society with such wide-ranging effects. Other examples are economic instability, a rapid decrease of water resources, and the sudden decentralizing of large sovereign states. The work which is being done related to relocalization assists in preparing for and dealing with all forms of crises, including the possibility of many occurring simultaneously. Although peak oil is a helpful illustration for relocalization and although much of the discussion here focuses on peak oil, crises related to fossil fuels should not be the only consideration and relocalization should apply beyond fossil fuel issues. A Relocalization Network exists at http://www.relocalize.net and some local groups are pursuing relocalisation plans based on peak oil occurring. 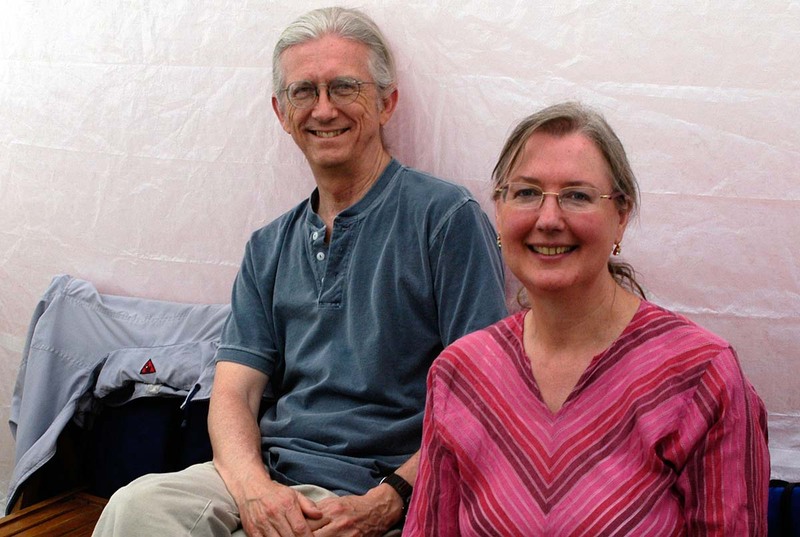 In August 2005, in Colorado, U.S.A., Boulder Valley Relocalization (BVR) was founded by Michael Brownlee and Lynette Marie Hanthorn as a local residents' group to plan for peak oil's effects on the Boulder Valley community. 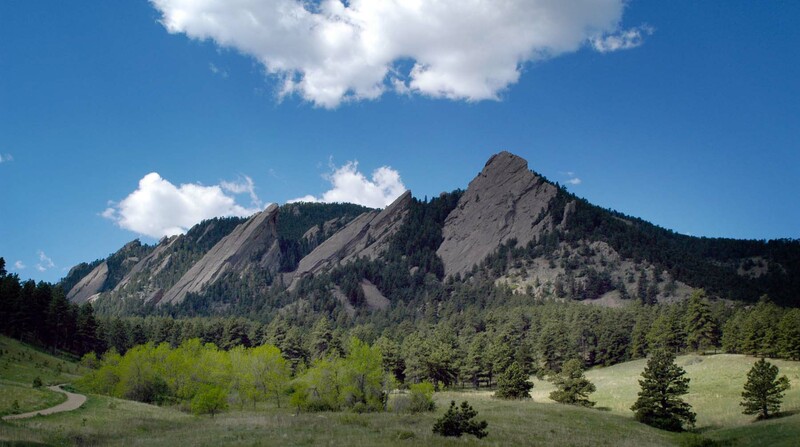 Boulder Valley is a loosely-defined area northwest of Denver with approximately 300,000 people scattered over approximately 2,000 km2 of the Rocky Mountains and central plains of Colorado. 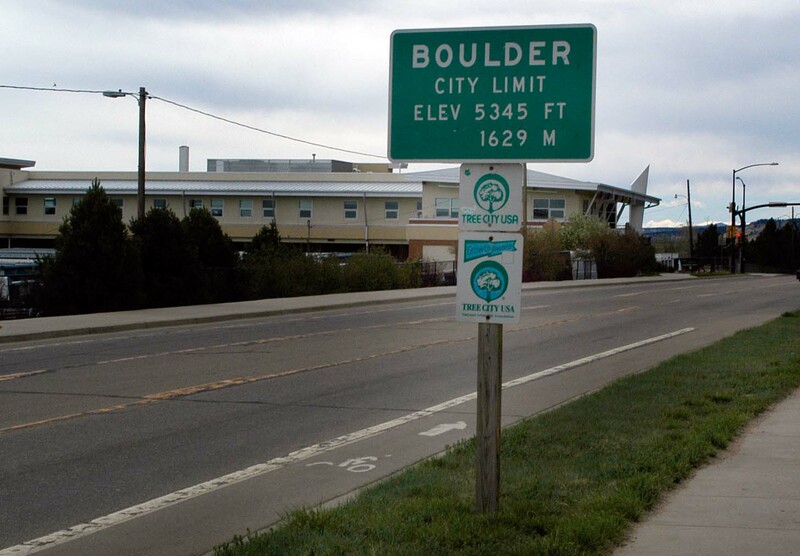 The largest settlement is the university city of Boulder with a resident population of 95,000. Relocalizing food production and distribution. Understanding the current reality: Define the challenges faced and inventory the resources available to tackle those challenges. Considering the options: Brainstorm potential scenarios related to peak oil and solutions for those scenarios. Vision and goals: Define an achievable vision with goals to achieve that vision. Principles and pathways: Develop recommendations and proposals for pursuing those recommendations. Master Plan: Write an open source plan and permit it to undergo independent review. Throughout, various actions will be undertaken to engage the community and to ensure that BVR can be sustained as both an organisation and as a process. Unfortunately, in 2007, BVR's leaders decided that the organisation and process could be achieved only by shifting their attention to a for-profit group to raise money for their salaries. This decision was made without consultation with or accountability to BVR. Yet again in the USA, profit dominates principles. The main consequence so far is that the relocalisation process, as outlined above, has fallen apart. Pearl Street Mall in Boulder City. The work of the Crisis Preparedness Group (CPG) to relocalize disaster risk reduction particularly within the context of peak oil is reported here. CPG's mandate is to provide information on and to recommend actions for preparing for crises which could result from peak oil as illustrative of relocalizing general disaster risk reduction. The group is evolving and at times is referred to as the Disaster Risk Reduction group. For crisis preparedness, Boulder Valley is ostensibly defined as Boulder County because the existing crisis preparedness infrastructure is delineated by that boundary. We nevertheless accept that we cannot draw arbitrary lines and expect to achieve best results, so this definition is amorphous and has flexibility, depending on the exact context. Each BVR subgroup might have its own (amorphous) lines. Michael Brownlee and Lynette Marie Hanthorn, founders of Boulder Valley Relocalization. In 2007, with neither consultation nor accountability, they shifted their attention and the group to a for-profit organisation. Download the full results for Step 1 Understanding the current Reality (25 kb in PDF). Inventorying emergency services resources in Boulder Valley. Identifying possible disaster events and conditions for Boulder Valley. Describing disaster events and conditions which would be particularly affected by peak oil. 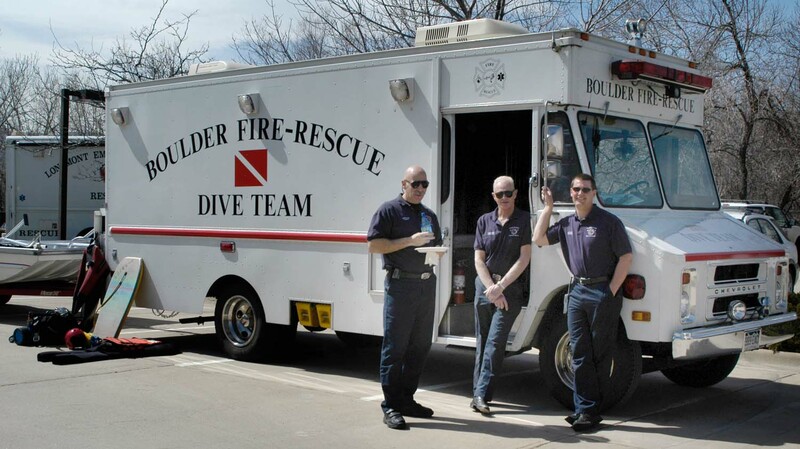 Emergency services resources in Boulder County were inventoried by detailing services provided by police, fire, medical care, search and rescue, incident command, and non-governmental organizations. Basic information on the salaries of emergency medical personnel has also been listed, indicating the challenges of localizing crisis preparedness when skilled personnel cannot afford to live in the area they serve especially for the City of Boulder. Limit response capability due to lack of gas and oil; for instance, for snow plows, ambulances, police cars, fire trucks, driver training, and buses along with diesel generators for hospitals and emergency operations centers. Limit people's ability to cope without outside assistance due to lack of electricity; for instance, for pumping water, indoor temperature control, communications, and private vehicles. Some disaster events would be particularly exacerbated by peak oil: blackouts/brownouts, dam failure, disease, drought, heat waves, terrorism, winter storms, and wildfires. Some disaster conditions would be particularly exacerbated by peak oil: civil disorder, creeping environmental changes although some might be advantageous, erosion of civil liberties, crime, environmental deterioration, poverty including declining social services, and racism particularly in terms of the majority trying to scapegoat minorities. The cost of living locally in some parts of Boulder Valley which inhibits localization. Top-down mandates which are focused on counter-terrorism at the expense of other perils. A disaster risk reduction structure which assumes that electricity, gas, and oil will always be available. Increased focus with community involvement would be particularly useful for crisis preparedness related to peak oil. The next step for the Boulder Valley Relocalization Crisis Preparedness Group is to consider possible scenarios and general solutions for averting those scenarios. Download the full results for Step 2 Considering the Options (26 kb in PDF). Developing crisis scenarios which require planning. Brainstorming solutions to avert these scenarios. For any disaster event or condition, one scenario is oil rationing. Oil and gas are available, but are in short supply. Decisions are required on prioritizing who accesses the limited supply. For disaster events, one scenario is an extended blackout with no electricity available until local renewable supplies can be set up independently of the grid. For disaster conditions, one scenario is civil liberties erosion. Due to peak oil, an attempt is made to undermine Boulder Valley's traditional support for civil liberties and its referendum-mandated "home rule" status. The freedom of local media could also be hindered. People: Households, neighborhoods, and local non-governmental organizations. Each family could be prepared to be on their own following an emergency for one week, plus considering contingencies such as their cache being put out of use or families being separated at the time of the emergency. Private sector: Local industries and businesses. Local industries and businesses could be better integrated into the community by providing volunteer resources in terms of staff time, goods, and services and/or donating a percentage of profits to relocalization initiatives. Public sector: City and County. School programs could introduce students to relocalization. Some solutions would be implemented by all three groups, for example encouraging other communities around Boulder Valley and beyond to implement these relocalisation solutions too. Organizations, the private sector, and the public sector exist beyond the local level, but their contributions should be localized before being implemented and would thus be part of one of the above three groups. The next step for the Boulder Valley Relocalization Crisis Preparedness Group is to articulate visions and goals to which the solutions from this step would apply. Local businesses should be involved in crisis preparedness, which includes planning for taking care of your pet. The Boulder Valley Relocalization Crisis Preparedness Group provides information on and recommends actions for preparing for crises which could result from peak oil as illustrative of relocalizing general disaster risk reduction. The third of five steps in this process was to articulate visions and goals for which to strive. This step was achieved by describing what should ideally be reached along with parallel, realistic statements which have a good possibility of being reached. No help from outside Boulder Valley is needed in a crisis. No reliance is made on top-down approaches for disaster risk reduction. Instead, it starts with individuals and households and moves up, requesting top-level support when needed. All crisis preparedness and disaster risk reduction actions are initiated and completed within Boulder Valley. Boulder Valley has the resources to cope in a crisis without neighbouring assistance for at least one week, including more isolated areas. An adequately staffed and resourced mixture of volunteers and professionals exists for disaster risk reduction including emergency response. All Neighbourhood Associations, including Neighbourhood Watch groups, are connected and are dealing with crisis preparedness. A Boulder Relocalization Team Program is created, including all skills and skill gaps within each neighbourhood being identified along with a plan to fulfil the needs. 100% of households have an adequate emergency cache and emergency training. 100% of the population is trained in disaster risk reduction relocalisation and implements those skills for prevention and mitigation. 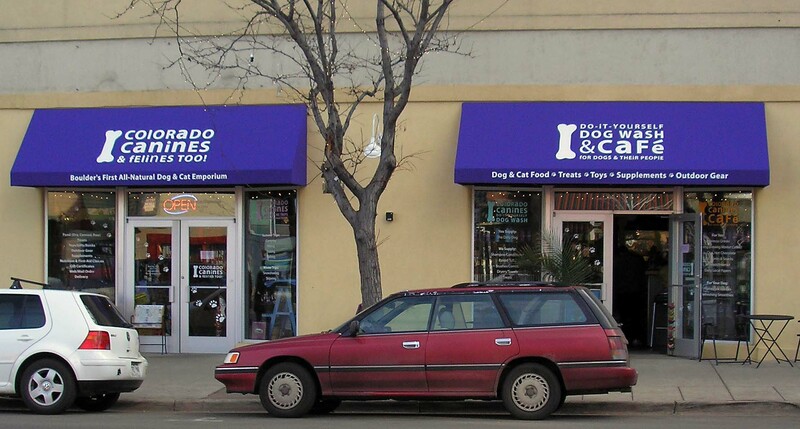 100% of newcomers to Boulder are ready for a crisis within two months of arrival. 75% of households have an adequate emergency cache and emergency training. 75% of the population is trained in disaster risk reduction relocalisation and implements those skills for prevention and mitigation. 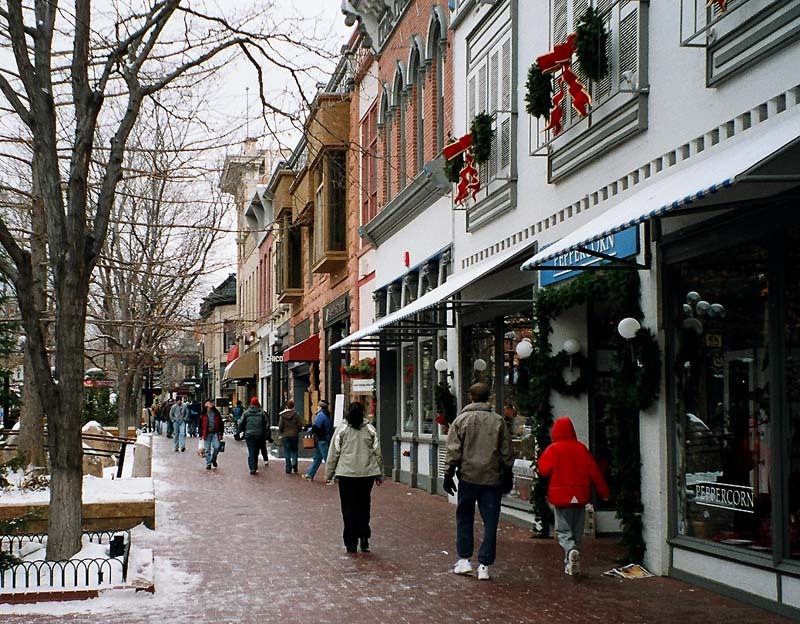 75% newcomers to Boulder are ready for a crisis within two months of arrival. People with disaster risk reduction skills can afford to live in Boulder Valley where those skills are needed. Normal installation and maintenance activities factor in disaster risk reduction and crisis preparedness. Even reaching the achievable visions and goals will not be simple and will require detailed plans to determine which actions to take. The next step for the Boulder Valley Relocalization Crisis Preparedness Group is to formulate specific recommendations and to develop concrete proposals to ensure that the achievable goals and visions are reached. 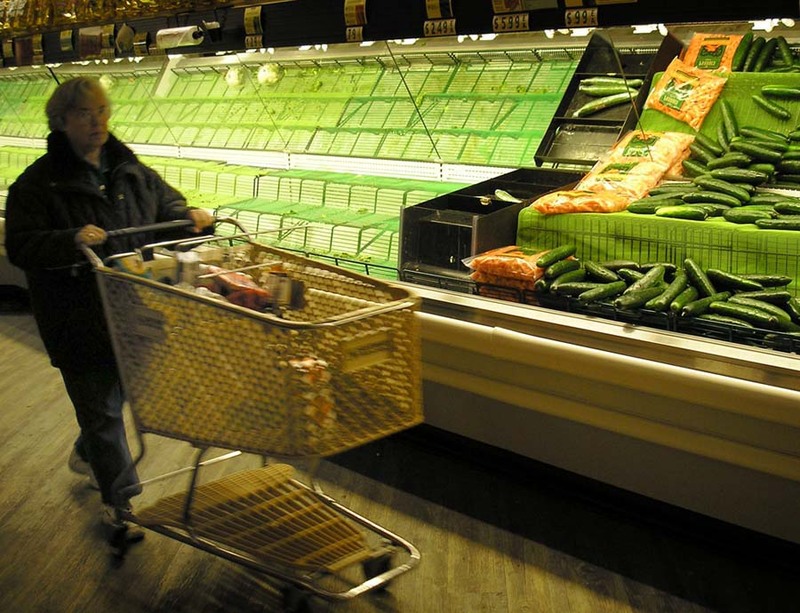 With relocalisation, will a supermarket's empty shelves matter? Download the full description of Community Relocalization Teams (83 kb as a Word document) which is a work in progress. Download the summary of Community Relocalization Teams including a request for contributions (27 kb as a Word document). These two documents will continue to be developed even though, in 2007, BVR's leaders shifted their attention to a for-profit group. This decision was made without consultation with or accountability to BVR. Yet again in the USA, the main pathway selected is profit, irrespective of the consequences for principles. In 2007, BVR's leaders shifted their attention to a for-profit group. This decision was made without consultation with or accountability to BVR. Despite several efforts to focus on the Master Plan as per BVR's original commitment, the Master Plan is now on hold indefinitely in order to focus on profits. Boulder Creek is a major flash flood hazard, but the recreation pathways provide some room for floodwater while keeping buildings farther out of the floodplain. Crisis preparedness solutions should have multiple advantages.